There are different kinds of bow, of different quality and workmanship. Economic, carbon made bows and also bows made by contemporary or historical bow makers. The bows of the 900 French schools are the most quoted today. 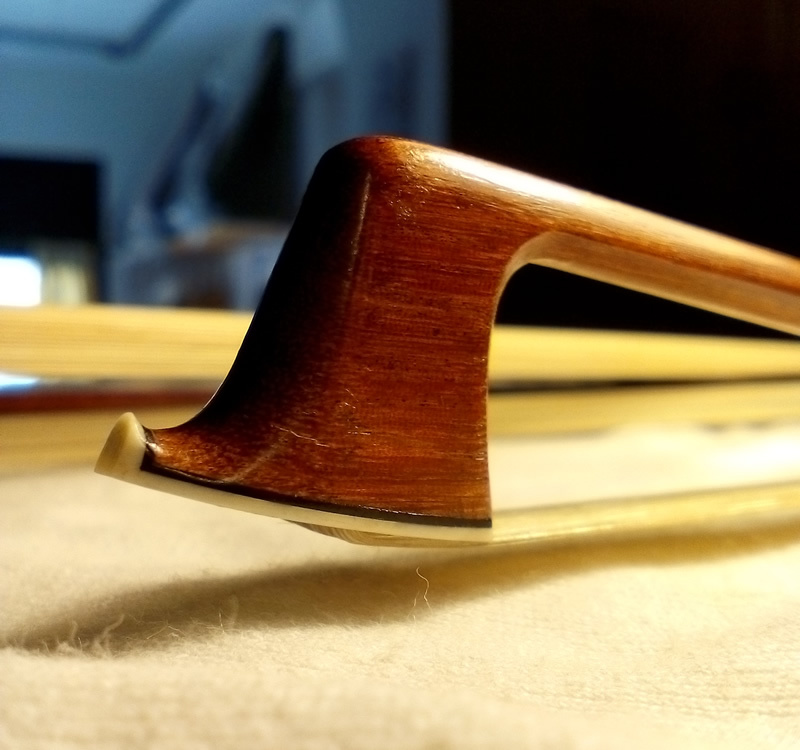 A good violin must be accompanied by a good bow, but it's even more important that a bow, any bow, is always in a position to perform well its function. A correct curvature and elasticity, and horsehair that are properly able to put the strings in vibration. 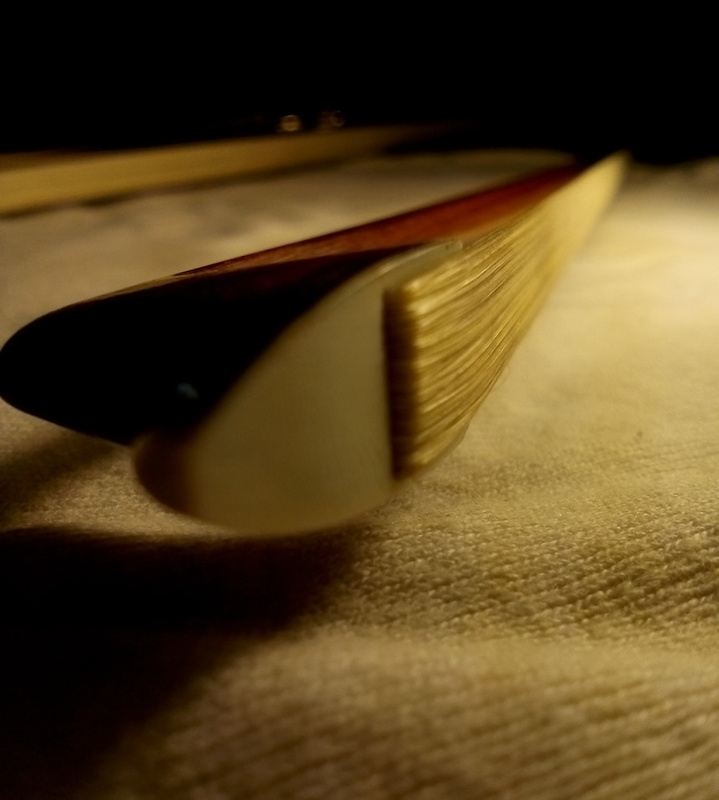 The replacement of horsehair is both common for those who play bow instruments because it can stretch over time, break, weaken or fill up so much of pitch to lose the grip . The replacing of horsehair is an important and delicate work, requiring a lot of attention. 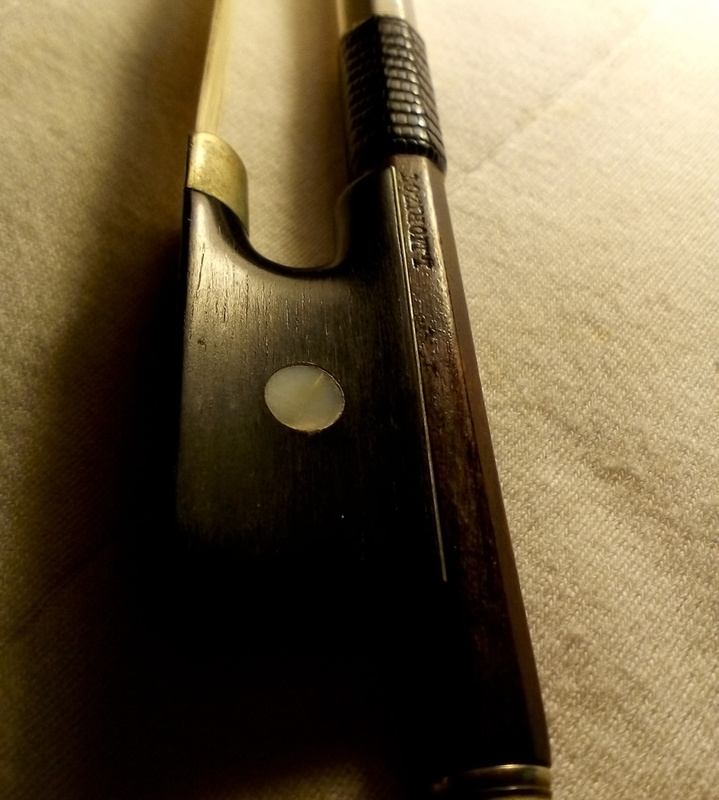 Various specialized courses on methods of cracking and collaborations with musicians, allow me to replace horsehairs in violin, viola, cello and doublebass bows. The horsehair used is the Mongolia highest quality. 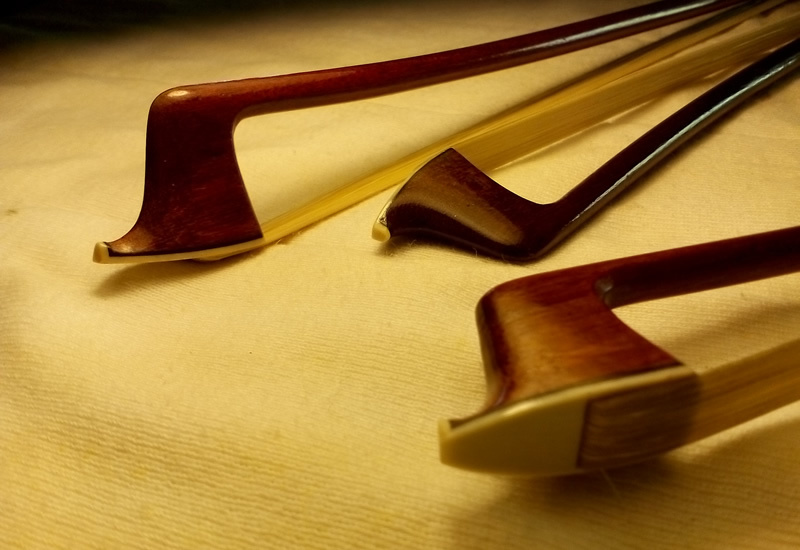 For cello and doublebass bows there is the possibility of using horsehair "salt - pepper" or black, depending on the needs and wants of the musician. 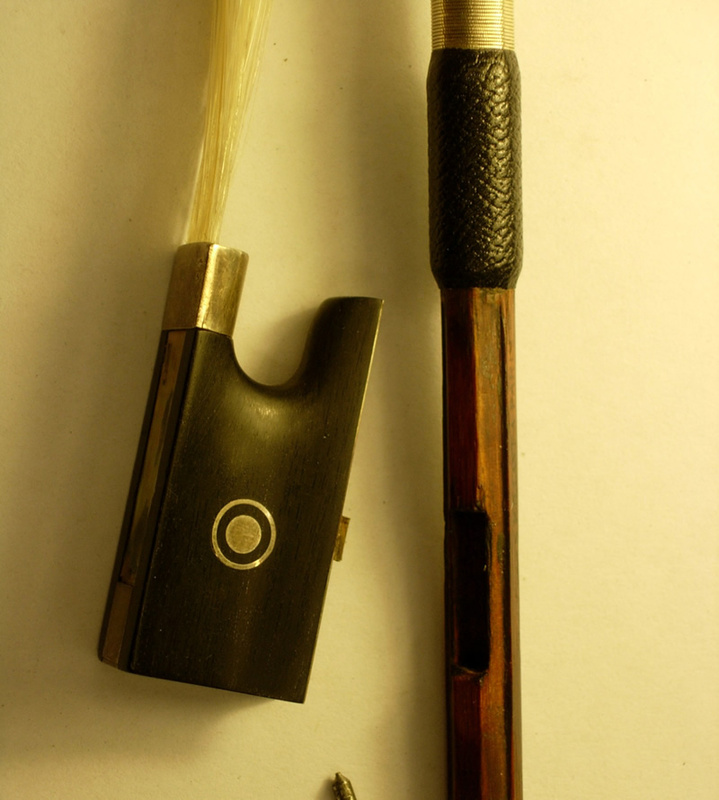 The replacement of horsehair also includes the bow maintenance, cleaning and polishing. In the Falaschi's lab French bows of important authors of the last century as Bazin, Lamy, Morizot and Millant, all Raffin certificates, are also available.